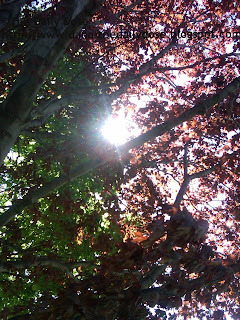 I took these photos in my front yard yesterday afternoon. I love the vibrancy of spring! It's a time of hope and new beginnings, and it has always been one of my favorite seasons. What superb spring shots! They make me smile. Aw, I'm glad. Thank you, friend. And a beautiful Tuesday to you too! I love spring! I can't get enough of being outside. I'm the same way. I like to be outside before it gets too hot. Come summertime, all I want is my air conditioning! there's nothing I had like to do right now more than sit under that tree and dream forever!! Love these pictures! Beautiful shots. Great Spring Shots! Sunrays through the branches and birdhouses...doesn't get any better than that. Thanks for the intro to Our World Tuesday. Have a Terrific Tuesday!!! Love that birdhouse. Just another sign of the rebirth of Spring as you await the arrival of the new hatchlings! What a cool idea! I might join in with this next week! I hope you do. It's a lot of fun! Beautiful photos!! What a fun hop. Your world is a beautiful place. Thank you for sharing it. Aw, thanks, Kathy. Hope you're having a great day! Great shots....have a nice day..! Thank you, Murthy. You too! Wonderful photos are gorgeous, a place of beautiful colors of spring! Greetings. Spring is such a pretty season! I love seeing all the flowers in bloom. I feel like a revival, spring is my favorite season, everything is so fresh and green and colorful, and it smells so good ! That's a good way to describe it—a revival. I agree: the smell is wonderful! spring arrived here yesterday and today I went out for the first time this year without a hat! Beautiful blooms!! Boom & Gary of the Vermilon River, Canada. Spring is my favorite season! And the quote is perfect! Beautiful spring images. I love the sun ray picking through the sun and the bird house. Enjoy your spring! Thanks. Happy spring to you as well! Sorry to have not stopped by in what feels like AGES! I finished my final university exam TODAY and now I'm free! I got completely overwhelmed by my workload so had to disappear! Missed your blog, your posts always make me smile! I was just thinking about you this morning! I'm so happy you stopped by! Beautiful! Are you a professional photographer or is it just a hobby? Your pictures always turn out so amazing, that I'm assuming its the first one. I had a hard time deciding, but I think I like the one with the bird house the best. I like spring too. Nice birdhouse. Green and pink are two of my favorite colors. You captured it so well with the lacy tree and the birdhouse. Supreme! Oh, I hope you get flowers. In my opinion, it's just not spring without them. Oh yes, I love all the seasons but Spring is special. Thanks. I caught it at just the right time! Yay! 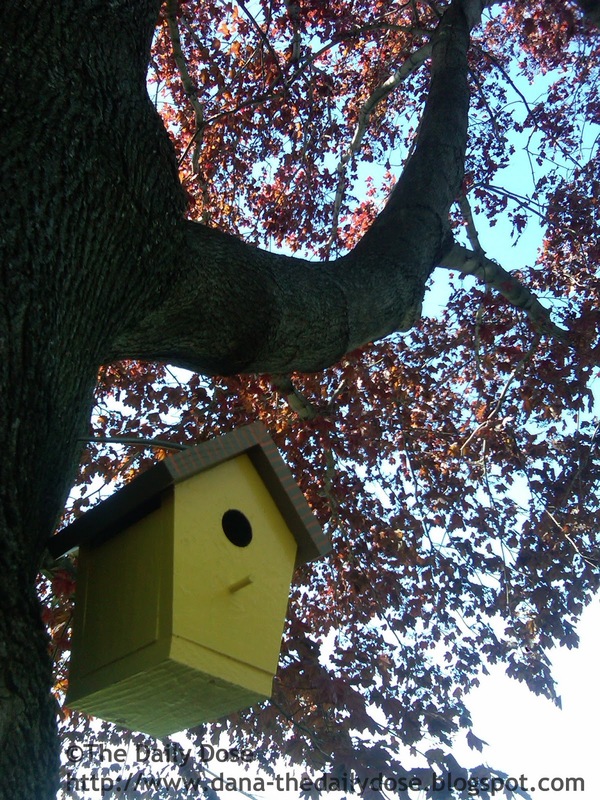 You have a birdhouse! I can't wait to have a tree to hang one!